I moved back to uni a week ago today and I've already managed a stretch of four gigs in 6 days. First up on Sunday was a Tigmus show, with local band Khamsina launching their album Everything I Am. I hadn't listened to them before the show but was pretty impressed and it was a lovely evening of folk music to ease myself back into the local scene! I took photos on the evening, a few of which are on the blog Facebook page! As we were squeezed in after the early evening film, we had less bands than normal, as there can sometimes be up to five acts, but the three that played, though very different in terms of genre, were received incredibly well. 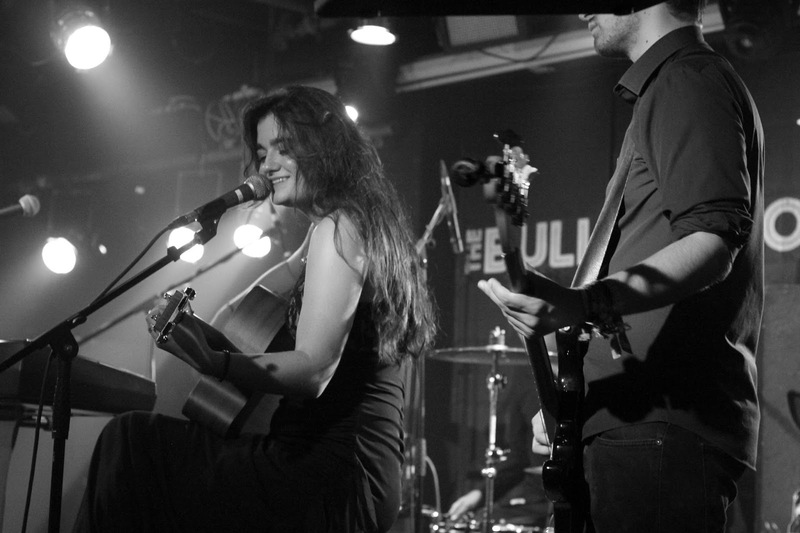 First up was Laurel, an acoustic singer-songwriter originally from Southampton and now based in London. She's got almost twenty thousand likes on Facebook so is clearly doing something right and we were lucky to catch her in this intimate environment. 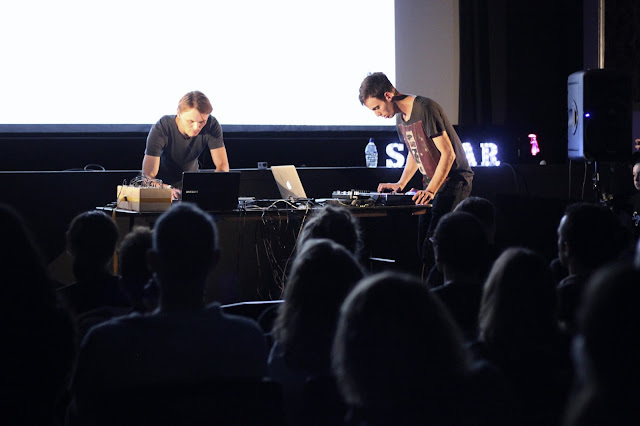 Next up were electro-visual duo Enno and Shalti who made use of the cinema screen, showing visuals alongside their set (which I think they were producing at the time using a programme they'd created.... I can't say I understand in the slightest but it was cool!) Last up were local band The Shapes, a 7-piece band who were glad to be asked to play as they reckon it's hard to get gigs if you're not an 18 year-old hipster. They might have a point. Photos from that night are up on the page here. On Thursday night I ventured a little further to Kingston, to catch the Bastille album launch show, with Tom Speight supporting. I've been wanting to catch them live for a while and, travel stress aside (don't get me started... who's idea is it to finish shows at half 11 when we're a half hour train out of central London?! ), it was a brilliant night! I went along with a friend who lives locally who'd mentioned she'd love to go to another show there so it was a great opportunity when I noticed the ticket and CD bundles on sale. As it was a show for the new album (which just got its second week at number one... no big deal) Dan was quick to say that they'd be trying to play as much of it as possible, and they premiered a lot of the tracks (setlist.fm tells me they played 6 debuts!) so that was pretty special to see, but of course it was also great for them to finish off with just a couple of tracks from the first record (Things We Lost In The Fire and Pompeii), they definitely left the crowd wanting more! Below is a little video of Power being played for the first time. Last up this week I ran the door for the last night and homecoming show of the Lucy Leave Tigmus tour on Friday night at The Cellar, with three other locals bands on the line-up, Slate Hearts, Holy Moments and Kancho, all of whom were lovely and it made for a grungy, rock-y evening loved by all who came (as displayed by the crazy head banging and dancing.) Of course they had to end on the title track of their recent Fighter Pilot EP, but they squeezed in Carry just before (video below), inviting the Slate Hearts lads to play with them, as they'd toured with them as main support for all dates. It was especially lovely seeing how much fun they were all having up there, and seeing the various bands watching each other's sets throughout the night!